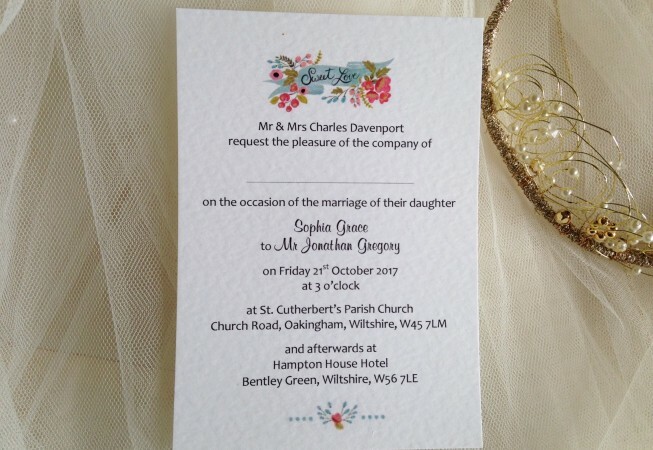 Sweet Love postcard wedding invitations are a simple attractive floral design and are printed on a thick heavy weight (270gsm) hammered card. 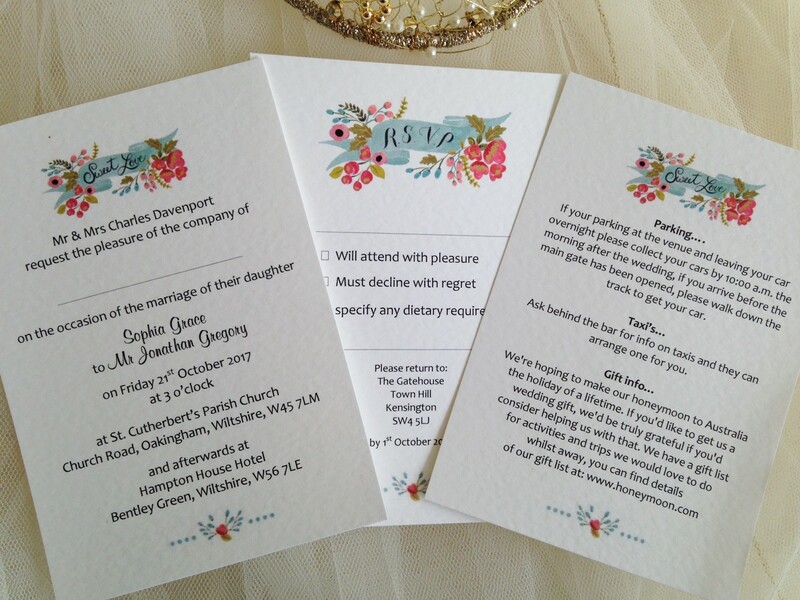 The invitations are available in either white or ivory. 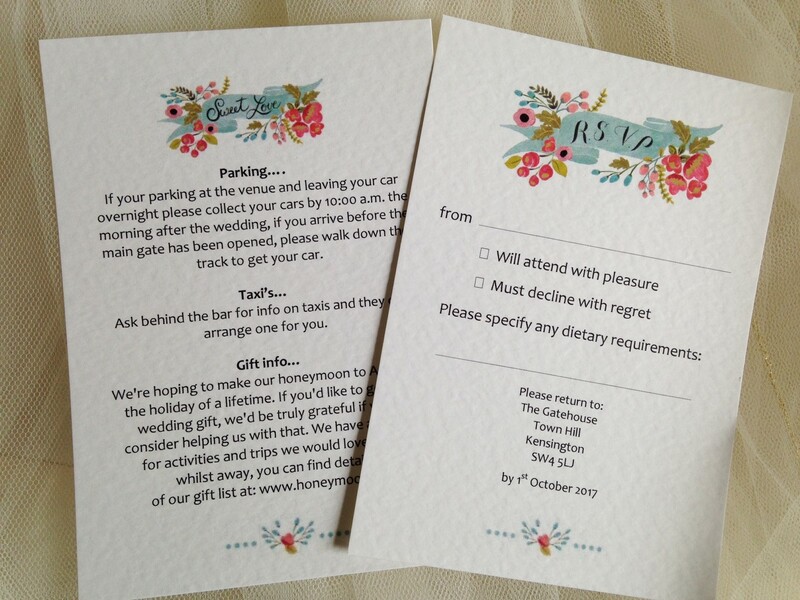 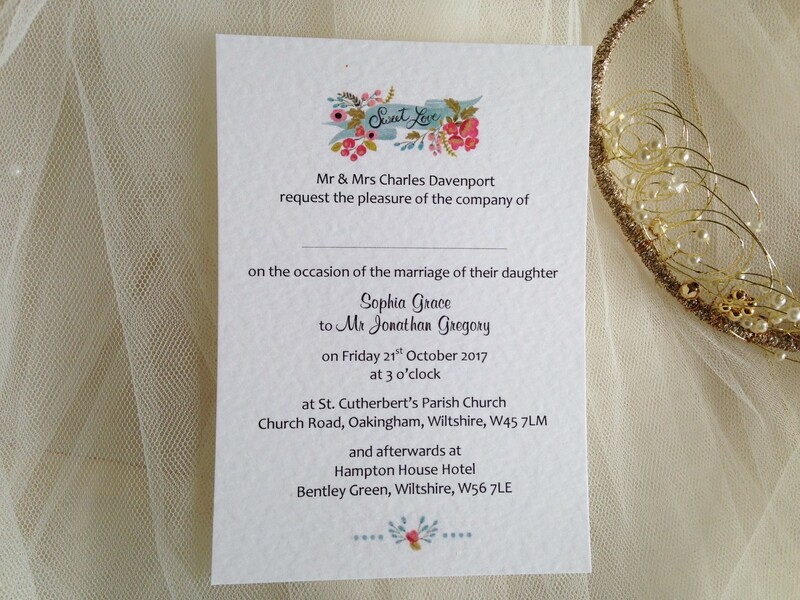 Our Sweet Love Wedding Invitations are right on trend for informal themed country weddings, shabby chic, village fete or ‘tea party’ wedding themes which continue to be hugely popular.